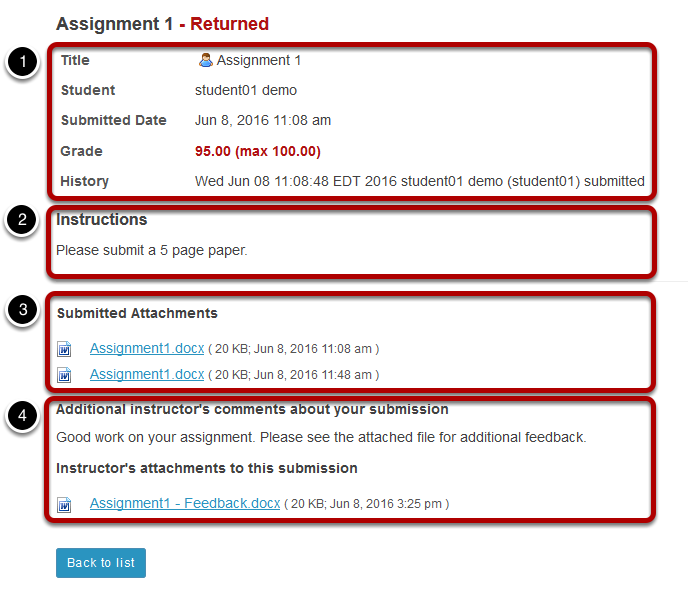 Instructor User Guide AssignmentsHow do students view their assignment feedback? 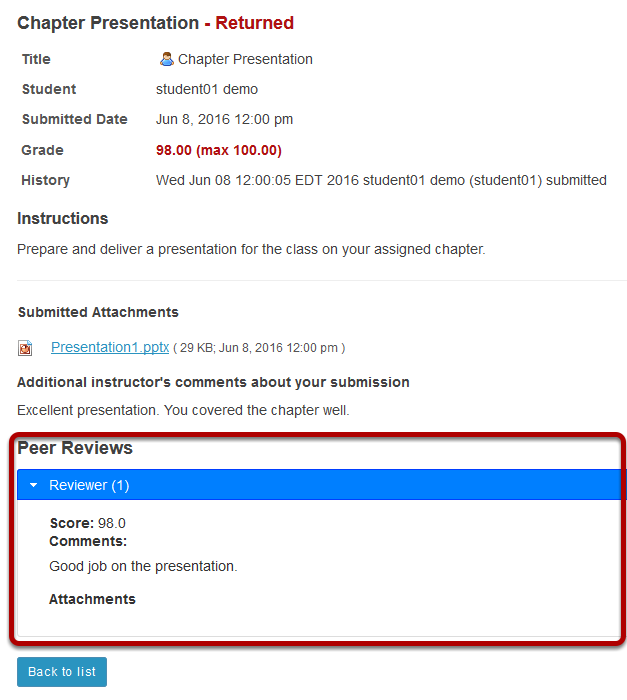 Prev: How do students complete a peer assessment assignment? Next: What is the Calendar tool?